God answered His promise to us to connect us with family in Longview,TX through Pathway Church! Moving here was the result of answered prayer and that has been confirmed dozens of times and in many wonderful ways, but coming from the Detroit area, one of our concerns was that we have no family within thousands of miles. God quickly spoke to both Marian and I that He would provide family through the Church. So knowing God had opened the door for a great job here we jumped on a plane and our family began a great adventure. We loved our church in Michigan and never really shopped or hopped around. We had some fantastic relationships, a passionate and personal, terrific Pastor and we did life together. We camped together, did ministries, served the community and grew together and somehow we assumed that’s just how church life was for most everyone. Once we landed in Longview we got up, got dressed and went looking for Church the first Sunday here. We didn’t expect it to be “the one” that God called us to, we just wanted to be in the Word and fellowship with folks in Texas. Not long after, I had a Christian friend at work invite us to his Church and we were excited about that because they had a strong youth program and we really wanted to make sure the kids got plugged in to something healthy for them after leaving everyone they ever knew behind. 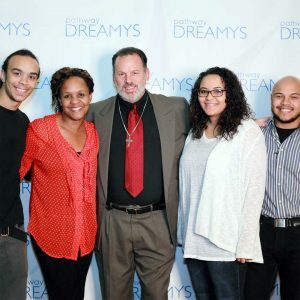 We stayed for a few years and continued to seek God’s will for our family and do what we could to plug into ministries outside of the church we attended. One day I was studying and felt God speak to my heart about leaving this particular church to find the place He really wanted us to be. When my family came together for a Saturday Bible study, I let them all know what I believe God spoke to my heart. They met that thought with vehement opposition and many reasons why they did not want to be uprooted again. I agreed with them and knew God wold not call us to something that would divide us, so I simply asked them to pray about it and tell me what they heard from God the following week. When they came back they all heard the same thing I did and reluctantly decided to follow the Lords leading. This was really more painful and traumatic than I can accurately paint with words. We ended up in another church that was very relational and quickly became very involved in music, leading Bible study and all aspects of ministry and outreach that they were dong. It was apparent that much of what we felt we were missing was now in place in this new church. However, the Word in both Bible Study classes and from the pulpit began to appear, contrived, shallow and repetitive. I know that sounds judgmental and maybe like I was looking for perfection, but God wired me to seek out the depth of His Word and I started to become aware of a very serious false doctrine that was being espoused. I tried to hang in there because my family seemed really happy in this environment, but as the false doctrine continued to filter in more and more my heart grew keenly aware that God had us there for just a brief time and for a purpose, but was calling us out again. Now my heart was heavy, my wife and kids were all hurt even though they all really understood my rationale and had felt similarly. It felt like we were being ripped away and we were beginning to wonder what God was doing with us and where the family was that He promised. I did some serious prayer and searching before we moved again. We still visited several churches locally, but made no commitments and waited for God to answer our prayers. I remember desperately praying for healing for my family and for “the place” we could all root into and grow like we knew we were supposed to. During those days I was doing Discipleship classes and preaching occasionally at Highway 80 Rescue Mission. After delivering a message there, the mission Pastor was a fella named Preacher David Newsome, and he came up to me, met me and was amazed how similar our testimonies were. We talked a long while, exchanged numbers and stayed in touch. Then I felt God lead me to call him, lay this whole church thing out there and ask him to pray for us. He did, but before we got off the phone he told me about a small start-up church that was meeting in the Ramada Inn next to the Butcher Shop Restaurant. He said he was leaving to move to Tyler and start his own Ministry, but spoke really highly about the young fiery Pastor that would skillfully get you laughing and then slice your heart open with the Word. I prayed a while more before feeling that this was divine direction and we loaded up the truck and went to our first service at Pathway. Thank you Jesus! Your Word is true and your promises are always good! We are home! God has poured so much into our lives from every angle since we’ve been here at Pathway. I know there are no perfect churches— or families for that matter— but we were never really looking for perfection. We were looking for a group of people who were unafraid to admit they were broken, had issues and the courage to admit that and love each other and help each other become whoever our Father created us to be. Real Family! Here we have been empowered! Here we have been healed! Here we hear God’s Holy Word unpacked faithfully in a fresh, deep, relevant, life changing manner! Here we worship the King and watch him transform lives! Here we humbly, gratefully relish in the fulfillment of a promise God made so long ago that gave us the courage to start this journey in the first place! We love you Pathway! All of you! In the love of the Lord Jesus Christ!